The Apple TV brings with it a revamped, Siri-powered remote control to make it easier for you to jump between menus, navigate through content and beat your high score on Crossy Road. With a simple hack the remote can also be used to control your Mac OS X machine. Here’s how it’s done. Key to the trick is a little piece of software called SiriMote, which is free to download. 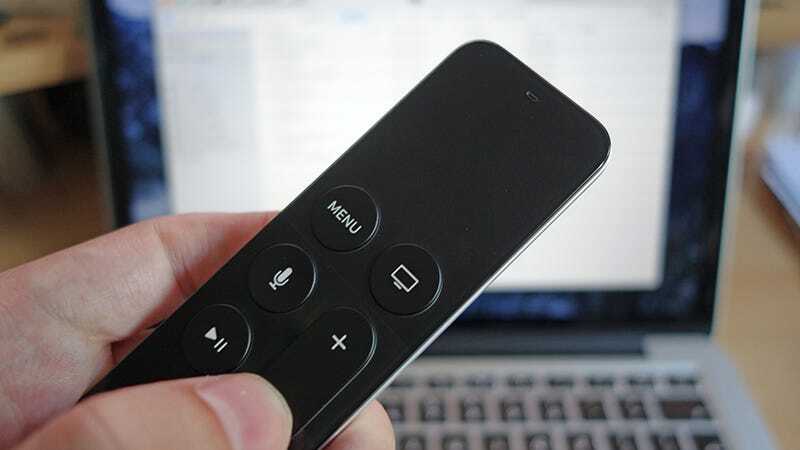 Once it’s installed, you can control iTunes, VLC, Keynote, QuickTime and more using the Apple TV remote. You’re also going to need OS X El Capitan 10.11 and Bluetooth 4.0 capabilities on the Mac you want to use. With the app installed and running on your Mac, open up the Bluetooth panel from System Preferences. Shut down and unplug your Apple TV, press the Menu and Volume Up buttons on the remote simultaneously, and click Pair on the new device that should’ve just appeared. That’s all there is to it—your Apple TV remote is connected to your Mac and SiriMote is handling communications. Press the Home button on the remote to move SiriMote into the background (and to bring it back again) then carry on using OS X El Capitan as normal. In apps such as iTunes and VLC, a press on the touchpad skips to the next track, while a press and hold fast forwards. Use the Menu button to skip back or rewind with the same actions. Play/Pause works exactly as you might expect, and so do the volume buttons. If you have a presentation program such as Keynote or PowerPoint up on screen, then the remote controls playback and skipping between slides rather than songs. Everything works seamlessly even if there’s limited support for third-party apps such as Spotify at the moment. Some work is required to repair the remote with your Apple TV afterwards. First, remove the device from the Bluetooth page in System Preferences on your Mac, then boot up your Apple TV. When it’s up and running, press and hold the Menu and Volume Up buttons for five seconds or so and the remote should be paired with the Apple TV again.